It’s a great time to be an entrepreneur. Now more than ever, there are individuals breaking out of the typical “9 to 5 office job” and are starting to work for themselves. We get it, that type of corporate lifestyle doesn’t work for everyone, which is why we’ve compiled this list. 1. You want or need more flexibility in your schedule. 2. Your creative energy feels stifled in a corporate or institutional structure. 3. You feel that you could make a bigger impact and/or make more money working for yourself than in a corporate position. 4. You are tired of working for someone else, and want to take the leap to be your own boss. 5. You know a better (unconventional) way to handle the issues related to your profession, but need your own consulting practice to execute it. If you can relate, then this is the article for you. 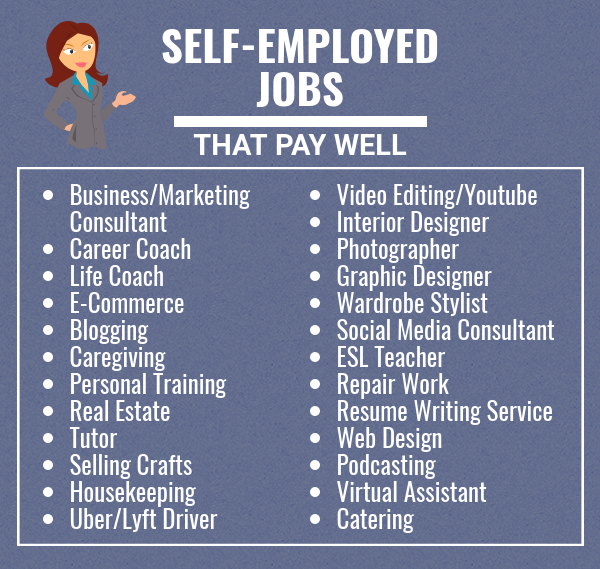 In this article, we’ll tell you the top 25 self-employed jobs that pay well, whether you want to just take the next step and work from home, or become a full-blown business owner (and maybe investor). If you’re already familiar with consulting and have had experience consulting for businesses, then this is a great option for you. Businesses often need consultants to help organize their finances, learn how to expand, and how they can best make their business appeal to their target audience. Offering your consulting services from home is a great way to create flexibility and potentially increase your revenue. If you want to become a consultant, the best way to go about it is to create a specific niche to offer. Trying to be a pro in all aspects of consulting will just leave you exhausted, and probably won’t allow you to be as good at your craft (or hold as much value) as if you were to hone on one select topic. Are your friends always asking for career advice? Or maybe you’ve had a lot of experience in your industry, and often give advice to newcomers. Either way, offering coaching services to newbies in your field could be a very profitable way to be self-employed. This is an easy way to transition from your office job to working for yourself from home. All you need is a website and some social media accounts (and word of mouth couldn’t hurt) to kick-start your new business. Tip: Offer incentives to your clients who give referrals, it’ll be a win for both of you! Similar to a career coach, a life coach is someone who offers advice to others. Except instead of the advice being solely career focused, it is more so focused on the individual’s personal life. While it is not exactly the same as counseling, life coaching does require some of the same skills. If your friends often come to you in times of crises, or just regularly for your advice, life coaching might be a great field to get into. Career coaching can actually be a subcategory of life coaching. Life coaches also work with people in their career or personal lives. Again, specializing in a certain field may attract more ideal clients rather than trying to cover the entire spectrum. E-Commerce has become increasingly popular throughout the years, and is now very easy to start. Essentially, e-commerce is the act of buying or selling products and services online. Amazon is a very popular website for e-commerce. You create an account on their website, and set up your shop. Amazon will let you ship your products directly their warehouse, and your items are stored and shipped from there. So basically, Amazon is doing most of the work. Blogs have become increasingly popular in the last decade (ironically, you’re reading this on a blog). Typically, it doesn’t cost much to start a blog, and you can blog about whatever your heart desires. It seems like there’s a blog for every topic these days. They’re not just for diaries anymore – in fact, many people have quit their jobs and become full-time bloggers! There are blogs that range from parenting, to holistic health, to food, etc. Having a specific niche (like being a life or career coach) allows your blog to appeal to and target a certain audience. If you have a topic that you’re really passionate about, and love to write, blogging is a great way to go! Just keep in mind that blogging can take quite a while to obtain traffic and build revenue, so don’t immediately quit your day job and expect to be an successful overnight. Do you love to help others? Caregiving may be a good choice for you. There are many different avenues when it comes to caregiving – you could be a nanny, dog walker, pet sitter, care for the elderly, etc. You could even run a home daycare! Many parents like the idea of dropping their child off at private daycare versus a hectic day care center (especially if they know you personally). Caregiving is generally very flexible, which is great if that’s the kind of schedule you’re looking for. Care.com and PetSitter.com are two services that are great if you need help building up your clientele. Personal training is another service that has become more and more popular. With people’s busy lives today, the last thing they have time for is hitting the gym. But having a trainer to keep them accountable, as well as to motivate them is something that is very valuable to many people. If you’re an avid gym-goer and love helping others achieve their fitness goals, then this could be a great fit. After getting certified through an accredited program, you can begin to help others with their fitness journeys. It is a very rewarding job, and you may create long-lasting relationships along the way. This is a very popular job when it comes to self-employment. There are certain training requirements and certifications you need to obtain before becoming an agent, but if you are passionate about the field and consider yourself a good salesman (or saleswoman), real estate could be a great career for you. Do you have a certain subject that you’re really good at, and love to teach? Tutoring is the way to go! With the ability to set your own rates, tutoring can be a great way to become self-employed. There will always be students that need extra help with a certain subject in school, so why not take your talent and love for helping others and put it to good use! 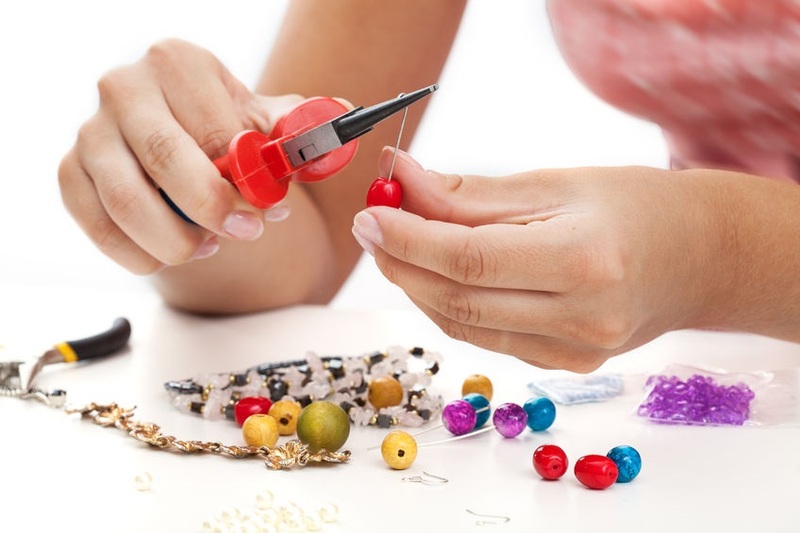 Ever heard of a site called Etsy? Founded in 2005, Etsy has become an extremely successful platform for people all over the world to sell their crafts on. From jewelry, to t-shirts, to dog beds, this website has it all. If you love making crafts and consider yourself a creative person, Etsy could be a great place to start selling your work. There are plenty of successful people who run Etsy shops out of the comfort of their own home and earn a substantial living through it. Keep in mind that this is another job that will take a little while to create a profit from, so don’t quit that day job just yet! Similar to nannying, housekeeping is another great job when it comes to flexibility. Many times, people will choose to be both a nanny and housekeeper. This allows you to charge a higher rate per hour, while giving the parents a clean house on top of child care! Regardless if you choose to add child care or not, housekeeping can be a great way to earn income, especially if you do a great job and get lots of clients through word of mouth. If you like to clean and tidy up, why not get paid for it? Nearly running taxis out of business, Uber and Lyft have changed the game when it comes to transportation. They more affordable than cabs, therefore making them much more appealing to consumers. If driving calms you, and you love meeting new people, Uber or Lyft could be a great option. You don’t need any licenses to get started (just a 4-door car), get to choose your own hours, and could potentially earn up to $25/hour. Another website that has changed the game – Youtube. 10 years ago, who would’ve thought that you could earn a living by recording and editing videos of yourself, and broadcasting them to the world via the internet? Even if you don’t want to edit videos of yourself, video editing is still a very up and coming field in 2018. More and more companies are in need of someone with great editing skills, and you could be just the person for the job. Another one for the creative souls – interior design! There are so many people willing to pay money for someone else to decorate their home, either because they don’t possess the skills or time to do it themselves. Decorating and designing homes can be very therapeutic, especially if you can put your headphones in and listen to music while doing so. This is another word of mouth-type job, but if you’ve got the skills, you’ll build your business in no time! Photography is a truly priceless art. And with the invention of Instagram, it has allowed many freelance photographers to grow their business much easier than in the past. This hobby is definitely an acquired skill, so we suggest starting off shooting on the side. Once you have enough practice to start charging for your services and have grown your clientele, you are ready to take the leap and become a full-time photographer. They say that a picture’s worth a thousand words, so why not be the one to create those memories for others? As the internet continues to advance, so does the need for graphic design. Companies want their website to look as updated and trendy as possible, which is where a freelance graphic designer comes in. Whether it be to designing the home page, or adding in some graphics to make their website pop, you’ll get to turn on those creative juices and get to work. It definitely helps if you have a formal background in the subject, but it’s also definitely possible to teach yourself the basics of graphic design on your own. Teaching yourself how to use Adobe Illustrator, Stencil, and Visme are all helpful when getting into this field. You don’t have to limit yourself solely to working for companies – you can also sell your digital designs and templates on Etsy! If your work is good, you can easily earn anywhere from a few hundred to a few thousand dollars for a full website design. Fashion gurus, this one’s for you. Do you have a keen eye for fashion? Maybe you were awarded “best dressed” in high school? You’d make a great wardrobe stylist! Similarly, there is also a career known as a fashion stylist, which is someone who styles models for fashion shoots. A wardrobe stylist, however, is someone who supplies and curates outfits and accessories for either a movie or commercial. Either way, you’re making someone look fabulous. Social media has become an increasingly important aspect of marketing, so it makes sense that businesses be willing to hire someone with social media expertise to help expand their audience. If you consider yourself skilled when it comes to Instagram, Twitter, Facebook, etc., why not get paid for it? If you can fluently speak English, you are already at an advantage, as it is the third most spoken language in the world. If you like to teach and help others, becoming an ESL (English as a Second Language) teacher would fit you quite well. Many ESL teaching opportunities are remote, so you can teach someone else English in the comfort of your very own living room. 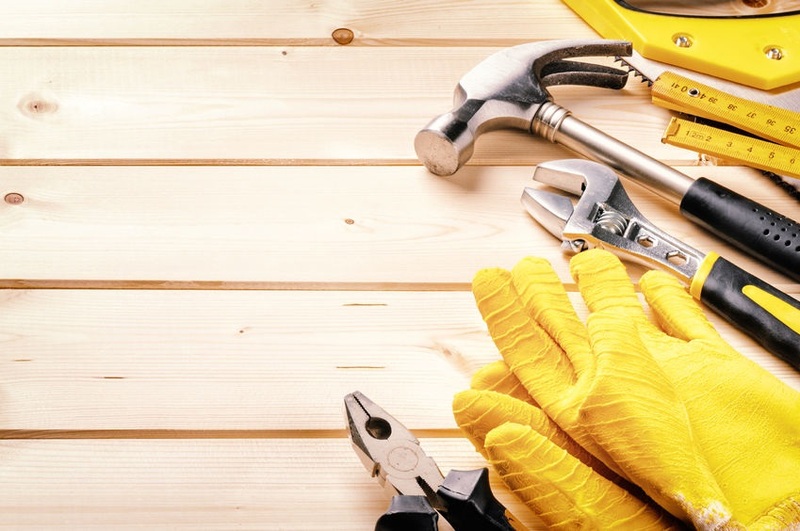 Consider yourself a handyman (or handywoman)? You’d be surprised how many people are in need of your services. With the rise of technology and machinery, the world is definitely in need of more people who can provide repairs when they break. Offering your services at a lower price than one would have to pay in a store, you’ll put yourself at an advantage, and rack up clients in no time. If you have a background in HR, this job would be perfect for you. Resumes are extremely important when it comes to the hiring process, and many people have no idea what theirs should look like these days. As long as you have a good idea of what employers look for, think of how many people you’d be able to assist in getting jobs! It’s definitely a gratifying job. Similar to graphic design, this is another great freelance job. If you know the backend of designing a website, you’ll likely have many contenders needing your services. Popular websites that freelance designers use to find clients are Fiverr, Guru, Upwork, and more. And remember, you can sell your designs on Etsy, too! Podcasts have increased in popularity immensely in the past ten years. They’re a nice alternative to listening to music on your morning commute or going on a walk with your dog. Love to talk and give advice? Podcasting might be your calling. It’s also a great alternative to starting a Youtube channel, since you can still get your message across while keeping your face anonymous. With the invention of the internet, who needs an in-office assistant anymore? Being a virtual assistant is great for anyone who wants to work from home, whether it be a stay-at-home mom/dad or someone who loves to travel. Upwork and Zirtual are two great websites where you can set up your profile and start your virtual career. Ah, food. What a wonderful (and necessary) thing. Who doesn’t love food?! If you love to bake and/or cook, why not start your own catering business? With our busy lives nowadays, no one has time to cook, which is where catering comes in. You can either choose to cater certain events, or even provide a meal prepping service. People would much rather pay to have healthy, fresh meals delivered than have to eat out for every meal (especially if they’re not skilled in the kitchen). One downfall of working for yourself (at least at first) is that you don’t get any company benefits such as life, health, and dental insurance. If something were to happen to you, it’s important that your assets are covered and your life is insured – especially if you have others relying on you. At Term Life Advice, our agents do not have sales quotas to meet, they’re just genuine people who want to match you with the best life insurance company possible. We work with over 60 top-rated companies, and have no doubt that we can find the best company for you. If you would like to receive an accurate quote based on your age and health, as well as which type of policy and amount of coverage you should choose, give us a call. Toll-free, no obligations: 855-902-6494.